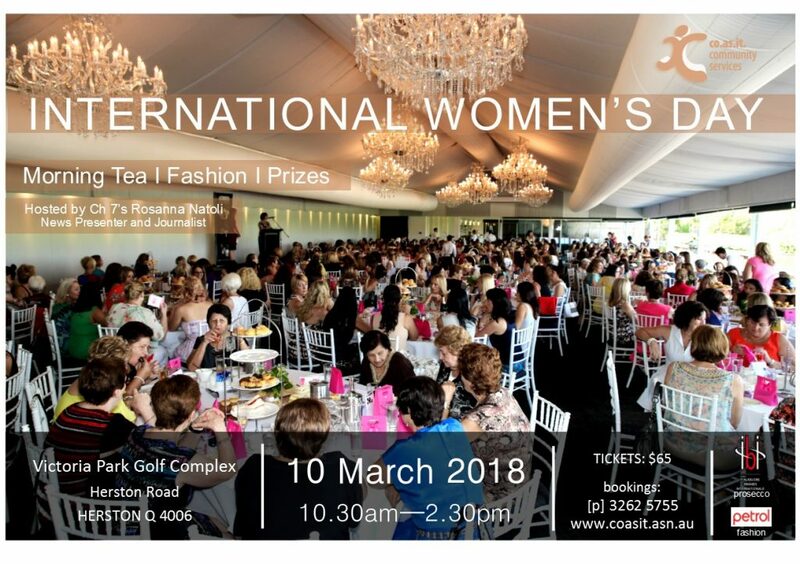 Get ready for a fun filled day to celebrate International Womens Day to be held on 2 March 2019. We have special guests, a lovely high-tea and a social ambience planned for this event… keep it in your diaries. Co.As.It. Community Services is involved in the planning and presentation of 3 major events per year. This year Co.As.It Community Services is celebrating 40 years of service and is hosting a Gala Dinner on 27 October at the Brisbane Convention and Entertainment Centre. 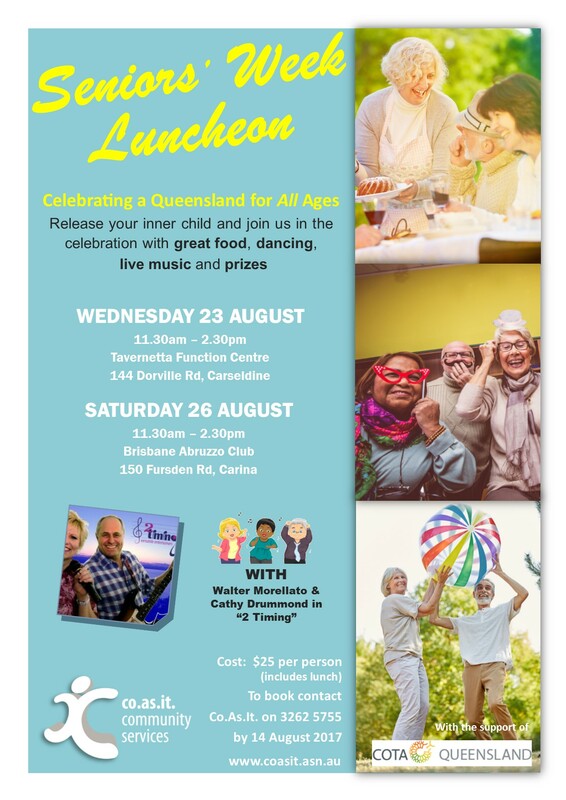 This year to celebrate Seniors’ Week “Celebrating a Queensland for All Ages“ , Co.As.It. will be hosting 2 luncheon events. Seniors Week is an opportunity for Queenslanders of all ages to join together and celebrate the valuable contributions of older people. Our first event will be held Wednesday 23 August at Tavernetta Function Centre at Carseldine, and the second will be held Saturday 26 August at the Abruzzo Club at Carina. Both luncheon events will be the perfect opportunity to release your inner child and join the celebration with great food, live music, dancing and prizes. Cost is $25 per person and includes lunch. To book please call Co.As.It. on 3262 5755. For all the details, view the flyer below. We hope to see you there, embracing your age, whatever it may be!  Co.As.It organises this annual event to bring together the community (usually between November and December). It provides an opportunity for Co.As.It. to thank the many members of the community for supporting our organisation and the work that the team at Co.As.It. undertake everyday of the year. The concert presents a selection of professional entertainers from all over Australia. Panettone (Italian Xmas cake) and spumante is offered to everyone in attendance as part of the celebrations for the festive season. The Community Concert is well advertised and known to community members, an event not to be missed! In March of each year a fundraising event is organised to celebrate International Women’s Day. The event has the generous support of women in our community such that we are not able to accommodate everyone wishing to attend. It is a popular event offering a champagne high tea enjoyed whilst admiring the latest fashion on the catwalk. Don’t miss the opportunity and always ensure you book your tickets early!